Adaptil Natural Spray is a natural phermone product to help reduce symptoms of stress and anxiety in dogs. 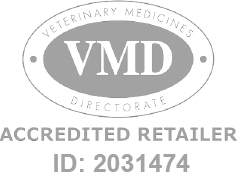 Adaptil Natural Spray - 60ml is a Prescription Only Veterinary Medicine and by law requires a prescription from your vet. Adaptil is a synthetic copy of the natural pheromone that a mother releases to reassure her puppies. This pheromone has the same effect on adult dogs to provide a calming and safe environment. Adaptil is safe, natural, and odourless and can be used in conjunction with other medications. These properties make Adaptil ideal for comforting and reassuring dogs that are coping with changes and stressful situations. In particular, Adaptil Spray is ideal for treatment on the move, such as car journeys or visits to the vet. The Adaptil Spray lasts for four hours, with a specially designed formula in a 60ml clear bottle. The spray can be used on areas that your dog will come into direct contact with, making it a safe and convenient treatment on the go.